Trying to solve the UK's deficit without tackling tax evasion and artificial tax avoidance is like trying to run a bath with the plug out. George Osborne's Autumn Statement underlined the government's commitment to reducing this leakage. Some of the new initiatives were announced two days before the statement and some earlier still. There are a few new announcements: four targeted anti-avoidance measures to stop specific schemes to reduce corporation tax, and one to stop income tax avoidance using patent royalties. Further down the track, there is legislation to prevent people avoiding tax by working through offshore employment services companies. More details on this, and on a general anti-abuse rule (GAAR) - a catch-all rule to fight tax abuse - are expected later in December. Hard-hitting new measures aimed at those who sell tax avoidance arrangements are also in the pipeline, as well as stricter rules on informing HM Revenue and Customs (HMRC) about new schemes. For the first time too, the UK tax authority can now access information from credit reference agencies and cross-match it to the earnings you have declared to the tax authority. This is a radical new way of finding out about hidden profits. Concerns were raised by MPs earlier this year about the way some people were being paid through their own companies, rather than as employees, for tax purposes. 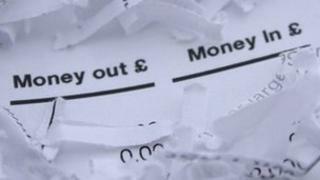 The Public Accounts Committee began its inquiries into off payroll contracts after it emerged earlier this year that the former head of the Student Loans Company was being paid via a company. The government had proposed draconian new rules on temporary workers who take up senior positions. However, in the small print of the Autumn Statement is the announcement that this "controlling persons" legislation has now been abandoned. The government will instead revise the current legislation, known as IR35, to be sure that this type of tax planning is blocked. It is not only the rich who are in the spotlight. Childcare tax credit claimants will have to provide evidence to support high childcare costs, and evidence is also to be required where claims are made for children aged 16 to 19. It will become easier for HMRC to recover overpayments of tax credits by deducting the amounts from current awards. HMRC have confirmed that from April 2013, small businesses will be able to use the cash basis - money actually received or spent - for their tax returns. This is a huge simplification. It will also be possible for businesses to claim fixed amounts for certain costs, rather doing complicated calculations. Together, these reforms which will cut the costs to business of complying with the tax system and allow HMRC to focus their attentions on more important areas. Despite all this talk about tax avoidance, the chancellor also gave the green light to a "shares for benefits" scheme which was first suggested earlier in the year. Under this proposed scheme, employees would be given shares in their employer's company if they gave up certain employment rights. It is a scheme fraught with problems and a tax planner's dream. It is unlikely to be attractive to most employees, who would have to give up employment rights in exchange for a capital gains tax relief. Since no-one pays capital gains tax anyway until their gains reach £10,600 (rising to £11,100 next year) the new relief will benefit few employees. Small businesses have already said that they are reluctant to surrender partial control over their business in exchange for a small reduction in employees' rights. But for tax planners this new proposal is fertile ground. Small family companies will explore these new opportunities to be rewarded tax-free, in exchange for surrendering rights they never use. If the government is truly serious about plugging the leak in the bath, it has to stop creating new weaknesses in the system that are only too easy to exploit. Anne Redston is a barrister at Temple Tax Chambers in London, and a visiting professor of law at King's College, London. She is an expert in the taxation of individuals and small businesses.